Researchers have reported the death of a horse from a rare nematode infection, with scientists still uncertain how the parasite enters the animal. The nematode in the eight-year-old Warmblood mare was identified as Halicephalobus gingivalis, which causes halicephalobosis. Fewer than 100 cases of halicephalobosis have been described in scientific literature worldwide, mostly in horses and ponies, but also in zebras, cattle and humans. The infection in horses has been reported in five continents, usually involving a wide range of ages and breeds, leading almost invariably to death. The opportunistic parasite is present in the soil, manure and decaying humus. While scientists are unsure how it enters the body, they suspect it penetrates through previous injuries to the mouth, eyes and skin of horses and migrate to various organs. The brain is one such organ where the females lay their eggs, damaging tissue and causing a sudden onset of neurological signs, such as loss of appetite, unsteadiness, urinary problems, blindness, decreased reflexes, tremors and aggressiveness. 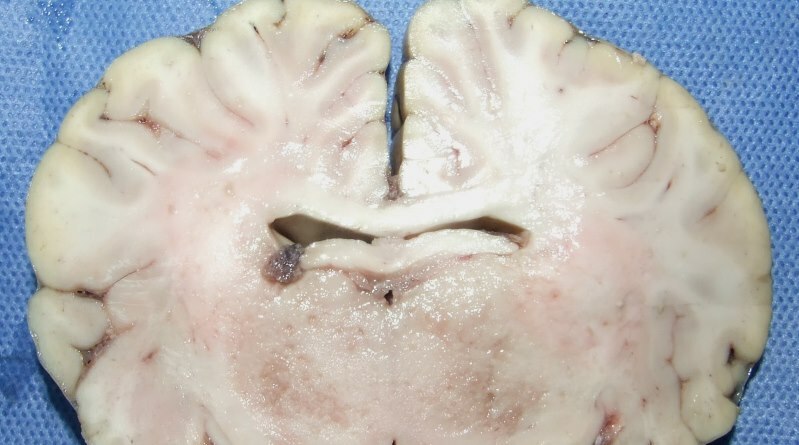 The disease is invariably fatal whenever brain lesions are present and the diagnosis is usually achieved only after death, Rute Noiva and her colleague wrote in the journal Veterinary Medicine and Science. The study team described what they believed is the first cases of H. gingivalis reported in Portugal. The mare presented with an eight‐day history of progressive blindness involving the left eye initially, advancing to blindness in both eyes and increasing deterioration in clinical condition. After euthanasia, the animal was submitted for necropsy, where evidence of the infection was found. A large mass was found in the left kidney corresponding to fibrous tissue heavily infiltrated with inflammatory cells and many nematodes. Damage was clear throughout the brain, with nematodes, larvae and zygotes found. The authors said the clinical history, necropsy and findings from microscopic examination represent a typical case of H. gingivalis infection in a horse. The authors noted that treatment is usually unsuccessful, in part due to the inability of deworming drugs to cross the blood–brain barrier and penetrate the granulomatous lesions in the brain. There have been only two reports of successful treatment of localized, extra‐central nervous system Halicephalobus infections in horses, with ivermectin alone or with diethylcarbamazine. They continued: “As with horses, the cases described in humans were invariably fatal. They said a diagnosis of halicephalobosis was difficult to reach in the absence of accessible lesions for biopsy. They said veterinarians should alert physicians and people closer to or engaged in horse production and its environments to the risk of the disease, particularly farmers, horse handlers/keepers and especially children, who often play in potentially contaminated soil and mud. Rute Noiva, Pedro Ruivo, Luís Madeira de Carvalho, Constança Fonseca, Miguel Fevereiro, Paulo Carvalho, Leonor Orge, Madalena Monteiro and Maria Conceição Peleteiro.